Healthiest Place on the Planet! The Only Doctor-Approved, Mom-Tested, Overwhelm-Free Guide to Transforming Your Home into the Healthiest Place on the Planet! A curated and complete step-by-step plan to remove hidden household toxins for a healthier home and a happier family. Yes, the truth is while your home should be the safest place on earth, it really is a hotbed for disease-causing bacteria and inflammation-inducing toxins. From the food we eat to the gadgets we depend on to the cleaning products we use, everything exposes you to an army of harmful chemicals and heavy metals – every. single. day. Paints, varnishes and even particulate board furniture emit worrying amounts of volatile organic compounds. High-tech gadgets like microwaves, computers and tablets are responsible for cancer-causing electromagnetic fields or EMFs and have been implicated in increased levels of ozone in the house. But that’s not the worst part! … these toxins and chemicals are linked to the root cause of chronic conditions like cancer, Alzheimer’s, Hashimoto’s disease, mood disorders, obesity as well as childhood illnesses like, asthma, ADD/ADHD and more. Several well-documented studies have shown that exposure to chemicals and “household air pollution” can lead to diseases such as stroke, ischemic heart disease, lung cancer and cause severe damage to the respiratory system, the cardiovascular system, the endocrine system and the nervous system. Struggle with migraines, anxiety or obesity? Know someone with early-onset dementia or Alzheimer’s? Or have a family member with cancer? Maybe a kid (or grandkid) with learning disabilities? … you hold in your hands the key to reversing these chronic diseases and building an impenetrable barrier between them and your family, without spending a ton of money or a great deal of time. A one-of-a-kind healthy living library that includes handpicked resources to help busy families create a safe, disease-free home, one step at a time. Get all of this (value $549) for just one easy payment of $47! 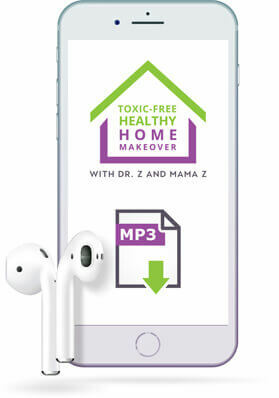 Step inside Dr. Z and Mama Z’s home and see exactly what they’ve done to give their home a toxic-free makeover and create this high-energy, high-vibe space for their kids, friends, extended family, pets and everyone around them! A library of 5 laser-focused and steeped-in-research eBooks to give you the guidance, tools and know-how needed to detoxify your home, one room at a time.Whether you want to start with the kitchen, the pantry, the bathroom, the laundry room or the garden… the choice is yours. 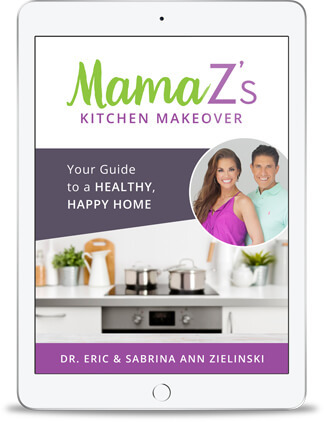 Filled with more than 30 printable PDFs, wallet cards and other valuable resources, you’ll have Mama Z’s gentle, practical guidance and Dr. Z’s expertise to walk you through. Beautifully designed and insanely easy-to-follow, these quick-start Step-by-Step Starter Checklist will be your new BFF!You’ll whiz through them as you take rapid-fire action to cleanse your home of common culprits and start seeing near-instant differences in how you feel, how the kids feel and how the home feels! Does the thought of shopping for natural products overwhelm you?Well not anymore! These room-by-room shopping guides will make trips to any store a real treat. You’ll know exactly what to look for, what to leave and what to replace. What a relief! With any purchase, you will get INSTANT access to the downloadable MP3s so you can listen to the 5-part video home tour anywhere you want. Listen in your car on your way to work, on your phone at the gym, or on your tablet at the library. Any way you want! Sorry about the cheesy infomercial voice there…… but we do have MORE for you! When you get your copy of The Toxic-Free Healthy Home Makeover Bundle, you also get THREE incredible bonuses to add more ammo to your toxic-free living arsenal. Add rocket fuel to your healthy efforts with this Top 15 Ways to Prevent Disease guide that outlines the most important and effective ways to beat chronic illness by preventing disease before it ever settles in. Discover the best and most effective steps to remove physical and emotional toxins from your body. Cleanse your entire spirit, soul and body to experience an abundant life full of good health and positive energy! Find all of your favorite bundle printables and resources in one easy-to-follow eBook. 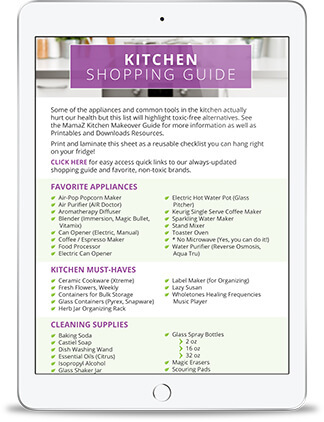 Organized by each section of your home (kitchen, pantry, laundry room, bathroom and garden), printing out these invaluable recipe cards, meal plans, checklists and shopping wallet cards has never been easier! Your journey to a healthy, toxic-free home doesn’t have to be a lonely one. Celebrate small victories, get support for challenging situations and make this lifestyle shift a fun and enjoyable process with Mama Z’s Natural Living Family community that’s got your back. We stand behind this bundle with our 60-Day No-Questions Asked Customer Delight Promise.Your delight is our priority. is a public health researcher and the best-selling author of The Healing Power of Essential Oils. He’s been a pioneer for natural living and Biblical health education since 2003.
is a home birth mom of four, and the hands-on practical expert for the Zielinski home. She’s the DIY guru. Married for over 12 years, Mama Z and Dr. Z are the only couple who blend science-based research with real-world application to help you master natural living, the overwhelm-free way!Mama Z is the one who used Dr. Z’s years of research to create a home free of toxins and filled with everything that’s good, clean, and pure. Now she’s sharing her secrets with you as she literally takes you through her house and shows you what’s worked for them and how you can do the same! I want to say THANK YOU for doing this awesome TOUR of your Beautiful Home… what great information… looking forward to go on this amazing journey and make my home as Toxic Free and Healthy as possible. So happy to learn how to “get healthy” with such easy choices and changes to our lifestyle. THANK YOU! In the last three years alone, we have lost several close friends and family members to cancer. We wholeheartedly believe that they all would still be with us if their doctors embraced more of an integrative, evidence-based approach and didn’t push harmful conventional treatments down their throats. We were appalled to hear how their doctors literally told them that “diet didn’t matter,” and they would die if chemo/radiation didn’t work.It still grieves our heart and we are committed to educating the world about natural, integrative options! 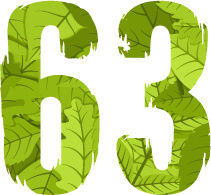 A majority of the proceeds from our Essential Oils for Abundant Living course goes to paying our growing operating budget, which employees more than 13 devoted team members and funds an ad-free website, multiple educational newsletters and other online resources so our readers can enjoy the potentially life-saving information we deliver without distractions and for FREE! In addition, a significant portion of our proceeds goes to the Independent Cancer Research Foundation, Inc. (ICRF), a non-profit cancer research organization. The ICRF is tax-exempt under Section 501(c)(3) of the Internal Revenue Code and is classified as a “public charity” [170(b)(1)(A)(vi)]. All of the money donated to the ICRF goes to helping cancer patients receive education and treatments. 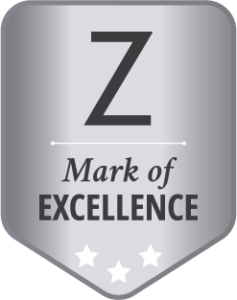 Dr. Z and Mama Z place a premium on the best for their family.Your purchase of the Toxic-Free Healthy Home Makeover Bundle is protected by our Z Mark of Excellence and gives you a FULL 60 days to use the resources and see the difference. If, for any reason, you feel this library of resources isn’t perfect for you, email us within those 60 days and get your money back (less shipping and handling for the PRINT EDITION). No questions asked. Q. Aren't bundles overwhelming? Wouldn't I be left holding a mishmash of resources? A. Well, bundles can be overwhelming especially if they aren't curated. THAT's where Dr. Z and Mama Z's Toxic-Free Healthy Home Makeover Bundle is SO different. You don't get a library of eBooks by 40 different authors, many of whom may offer conflicting approaches. Yikes! With the Toxic-Free Healthy Home Makeover Bundle you get a carefully curated collection of resources to tackle a specific area with a very consistent approach. Q. I don't have a big budget to spend on products? How much money will implementing these tips require? A. We hear you! Being a mom of four Mama Z is known for her budget-savvy approach to raising a family and managing the home. You'll be pleasantly surprised to find that quite a few of the steps don't cost a single penny since they're more behavior and habit changes. All of this to say, that you wouldn't spend any more than what you're already spending on household cleaning products. You'll simply master the art of making smarter, healthier choices. Q. I'm already exhausted with everything I have to do. How much time will all of these changes take me? A. Not much time at all. Mama Z is a mom to 4 kids so she knows all about making the best use of God's gift of time. All the tips, recipes and ideas are fuss-free, fast-action and fully tested. The best part is you don't have to do all of the things at one time. You have LIFETIME access to this bundle so you can work through it at your own pace. The high-quality HGTV-style video walkthroughs are each 8-9 minutes long and you can watch them while feeding the baby or while your toddler naps. You can pick-and-choose which steps to implement first and which ones to work on later. So, don't worry, you wouldn't have to clone yourself or hire a nanny to watch the kids while you go through the Toxic-Free Healthy Home Makeover Bundle. Q. When will I receive my Toxic-Free Healthy Home Makeover Bundle? A. Online Edition: access credential will be sent to you via email IMMEDIATELY after purchasing both the ONLINE EDITION and the ONLINE + PRINT EDITIONS. Print Edition: The PRINT EDITION is currently available, at the fulfillment center, and ready to ship. You can expect to receive your shipment in 1-2 weeks (longer for international orders). In the meantime, you will get instant access to the downloadable MP3s for the 5-Part Video Home Tour, Printables Resource eBook, Disease Prevention bonus eBook and you will be invited to join Dr. Z’s and Mama Z’s private Members Only Facebook community to ask questions, get tips from fellow natural living lovers and personally interact with the Z’S! Q. What’s the difference between the packages? A. The Online Edition gives you access to watch and download the entire Toxic-Free Healthy Home Makeover bundle starting today. 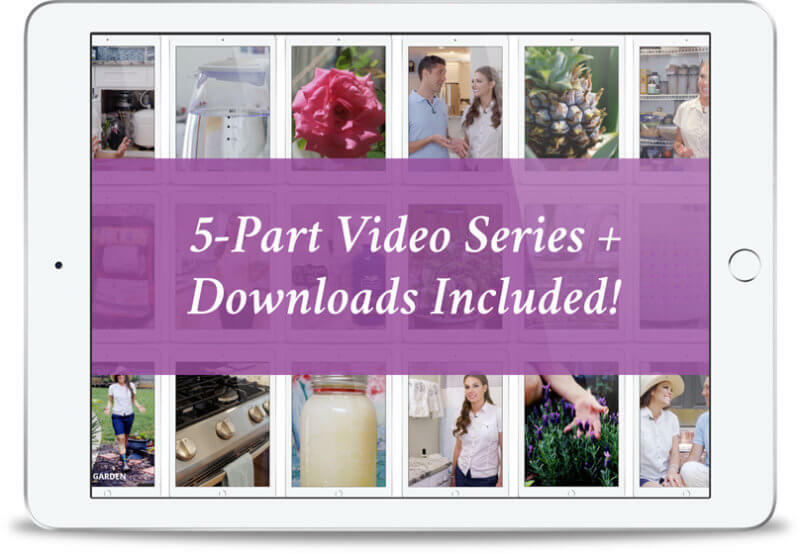 Included in the package: 5-Part Video Home Tour, Complete Transcripts, Downloadable MP3 Files, 5 Makeover Guides, 5 Starter Checklists, 5 Shopping Guides, and 30 Printables (Wallet Cards, Recipe Cards and More)! The Print Edition includes the 5-Part Video Home Tour on DVD and printed copies of the Complete Transcripts, Makeover Guides, and Full-Color Printable (filled with resources referred to in the videos) shipped to your home. You will also receive MP3 Files of the home tour. The Online + Print Edition combines everything included in Online and Print Editions so you will receive instant online access to the Toxic-Free Healthy Makeover Bundle today and a physical copy shipped to your home. 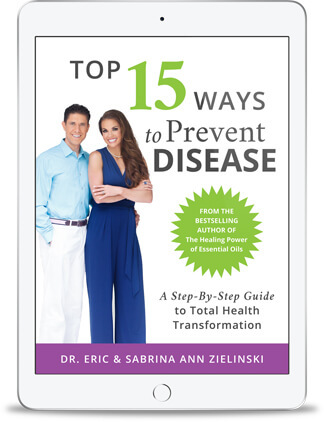 AS A SPECIAL BONUS: ALL EDITIONS include Dr. Z’s Disease Prevention eBook that is filled with vital information to help you and your family stay healthy and strong. You will also get exclusive access to Dr. Z’s & Mama Z’s private Members Only Facebook group so you can join their global Natural Living community who support each other, share tips and personally connecting with Dr. Z & Mama Z.
Q. What if I decide this Bundle is not for me? What's the refund policy? A. The Toxic-Free Health Home Makeover Bundle is backed by a No-Questions-Asked 60-Day Money Back Guarantee from the time your order is received. Simply contact our support team at Support@DrEricZ.com, and you will receive you a 100% refund (less shipping and handling for the Print Edition). I’ve been studying and using toxin free and toxin eliminating items and healthy living supplements etc for over 40 years and you are so right on with all your info! And I especially love that you so freely share your faith and Biblical applications. God Bless you and Amen. 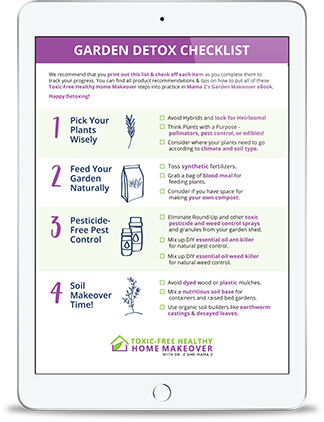 Is the Toxic-Free Healthy Home Makeover Bundle Perfect for You? Living a Biblically healthy life doesn’t have to be a challenge in modern times. If your goal this year is to give yourself and your family the gift of disease-free living, then this one-of-a-kind curated bundle is for you. You’re already reading labels and buying organic arugula for dinnertime salad. You’re already reading up on natural remedies and using arnica instead of antibiotics. You’re already taking action and doing the right things. Why not get a doctor’s research and a mom’s practical encouragement to live a toxin-free, disease-free life without making any expensive mistakes? Thank you so much for sharing your beautiful home and all these fantastic ideas with us. As you say, it will not just happen overnight, but I can see many areas I can start making changes in my own home. The Toxic-Free Healthy Home Makeover Bundle is the key to help you unlock the cure for most chronic conditions and a healthier life, starting today. Yes, I want to create a healthy, happy home! Lifetime Access. 60-Day Money Back Guarantee.